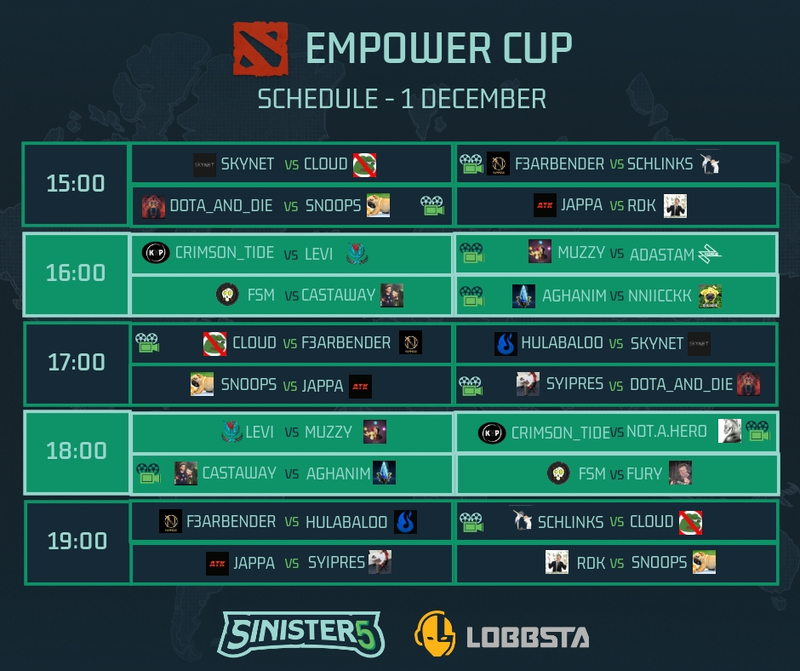 This coming weekend the Sinister5 and Lobbsta Dota 2 initiative, the Empower Cup, played out. On the line is R20,000, but there is a twist. The prize will be handed to the coach of the team that wins. Why? The coach is a Masters player assigned to a non-Masters team and the incentive should see the coach ensuring their team is the best prepared (and winner) on the day. 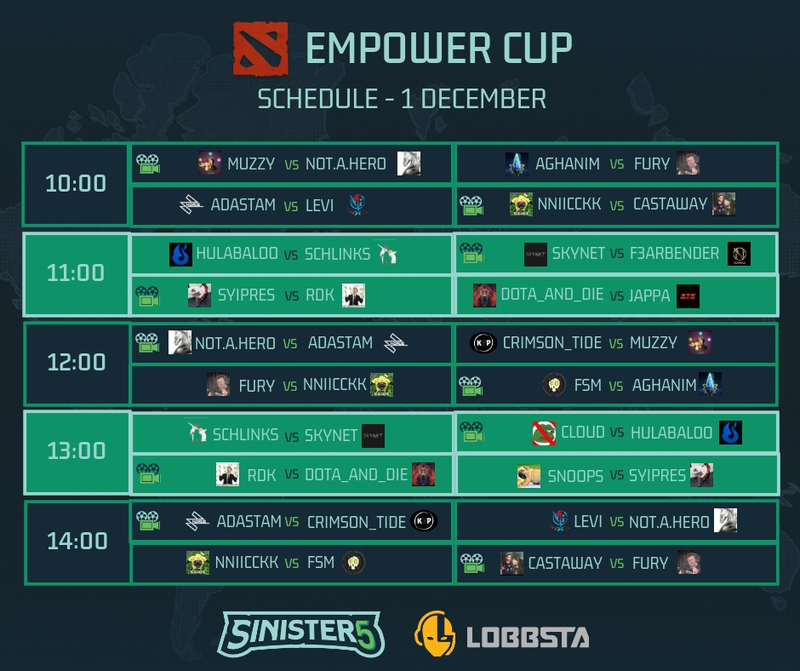 The tournament will run this weekend (1 and 2 December) on the Lobbsta platform with a number of the matches being streamed live. A total of 20 teams will be participating across four groups with the top two teams per group heading into the playoffs. 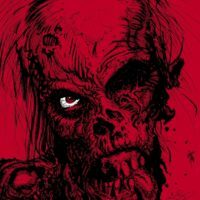 Group matches will be completed on Saturday, while the playoffs will be played on Sunday. Saturday’s match schedule is as follows with live stream details below.